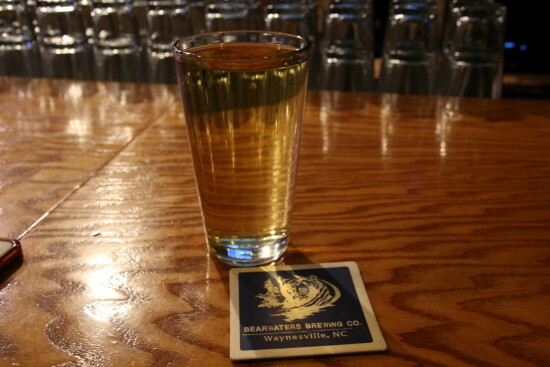 Craft beer lovers will be delighted at the unique personalities and robust flavors of the numerous craft brews that can be enjoyed in Western North Carolina! Western North Carolina is a mecca for craft breweries with Asheville having more breweries per capita than any other U.S. city and nearby Waynesville, in Haywood County, boasts the highest concentration of microbreweries west of Asheville! Each of Waynesville’s four microbreweries (BearWaters Brewing, Boojum Brewing, Frog Level Brewing, and Tipping Point Brewing) have different styles and unique flavors of craft beers, with dozens of microbrews just waiting for beer lovers to sample them! During my visit to Haywood County, I enjoyed sampling numerous craft beers at three of Waynesville’s local microbreweries, Frog Level Brewing, BearWaters Brewing, and Boojum Brewing. 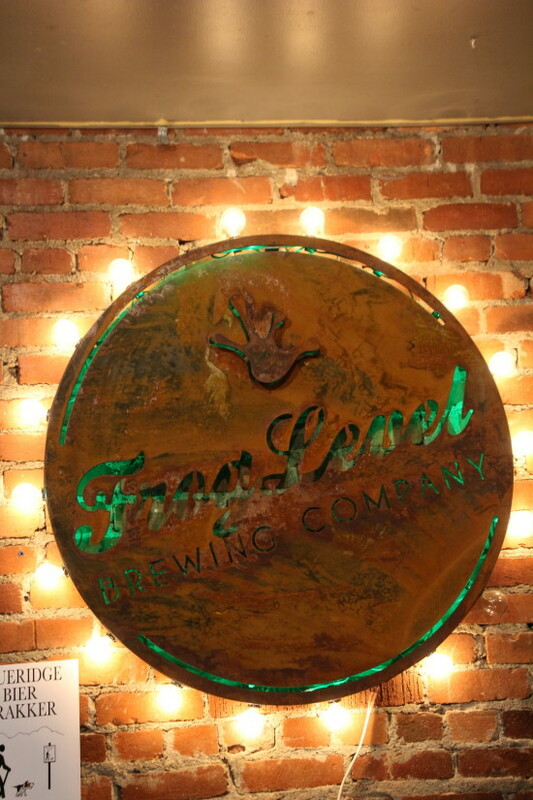 Located in the historic Frog Level district of Waynesville, Frog Level Brewing Company is comprised of a small but mighty in-house brewery, tasting room, and large outdoor deck which overlooks Richland Creek. Frog Level Brewery boasts six flagship beers along with special and seasonal brews. We sampled a spicy brew made with a smidge of a Carolina Reaper Pepper (the hottest pepper in the world! ), too spicy for me, but I applaud their brew master’s creativity in producing unique craft beers! This family friendly establishment has live music from local artists on the weekends and patrons can bring their own food in to accompany their choice of beer. 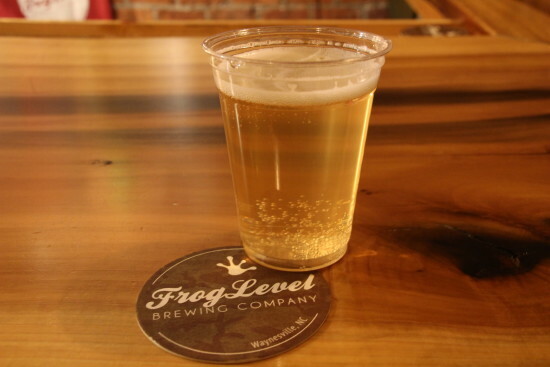 From pale ales to dark porters, to special brews with a twist, there is craft beer at Frog Level Brewing to satisfy the palate of every beer connoisseur! 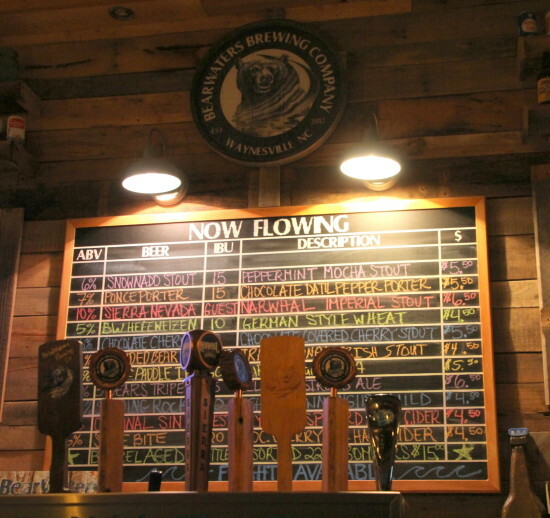 Located in the heart of Waynesville, BearWaters Brewing Company has a family-friendly and pet friendly taproom which is the perfect place to enjoy one of their many rotating beers on tap. 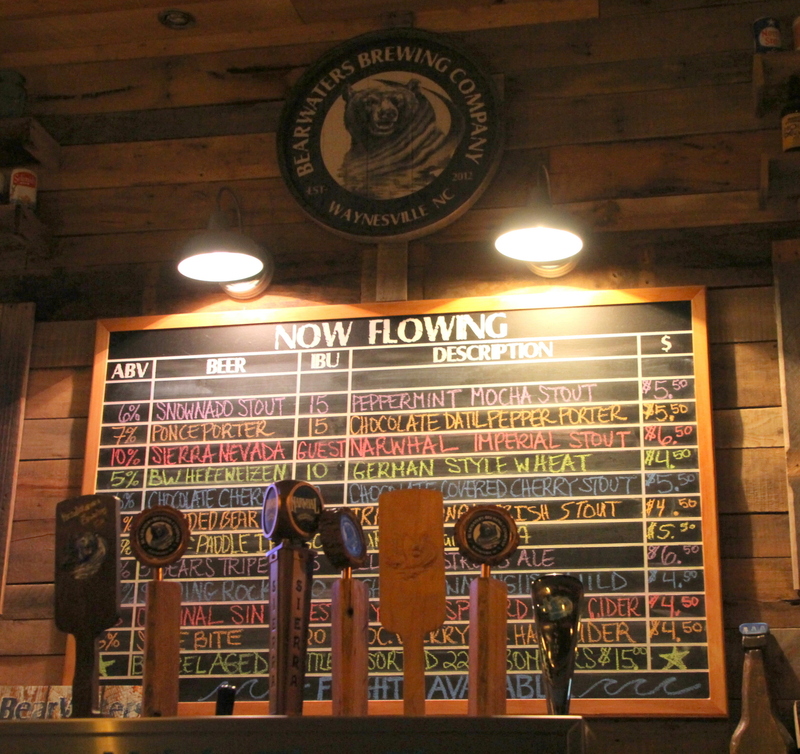 With ten signature beers on tap and over thirty different beer recipes produced, BearWaters Brewing is the most award winning craft brewery in Haywood County! 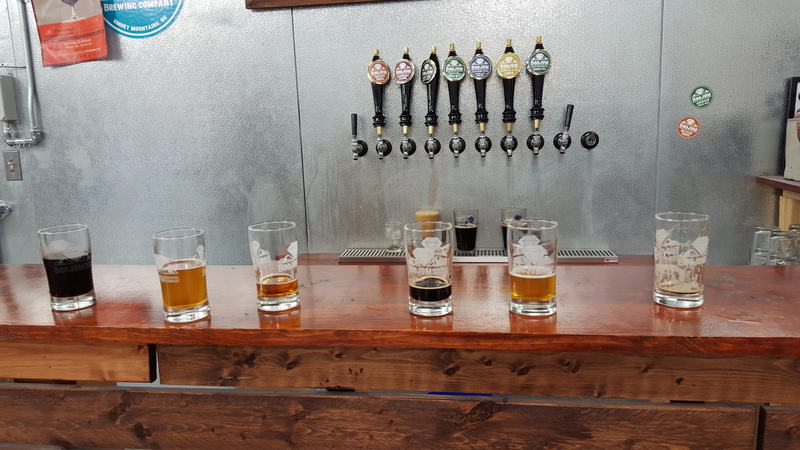 Whether you enjoy a stout, pale ale, amber, porter, seasonal, high gravity beers or oak-barreled premium brews, there truly is a craft beer for everyone at BearWaters Brewing! BearWaters Brewing features a live music lineup with local musicians, and they even create specialty items such as mustard and jams made with their beer that are sold at BearWaters Outpost. Yes, the beer at BearWaters Brewing is great, but the fact that you can bring your beloved dog with you, BearWaters you have stolen my heart! Just wish I lived closer to enjoy a pint or two of BearWater’s craft beers with my dog at my side! 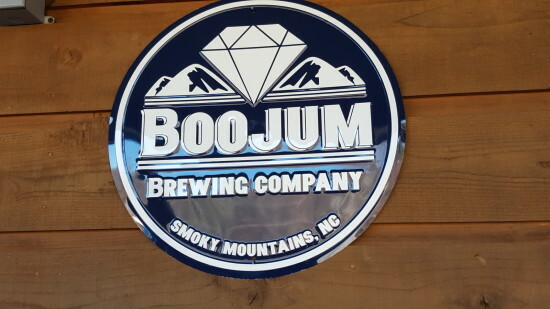 The Boojum was first spotted in the early 1800’s in the Smoky Mountains of North Carolina, the 9-foot tall mountain man was known to consume large amounts of liquor and steal gems from the local miners. He then would return to his mountain cave and hide his loot in empty liquor jugs. 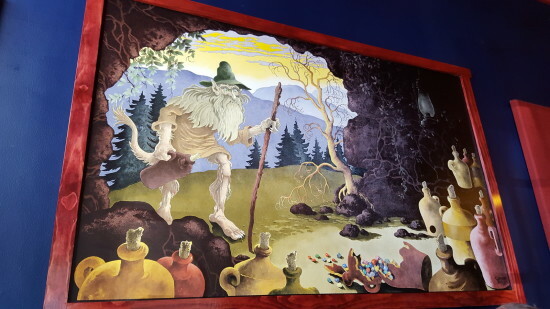 Afraid the gems would be stolen by the locals, he hid the gem laden jugs throughout the Smoky Mountains. Greedy locals would hunt for the gems, instead of finding jewels they unfortunately encountered the Boojum, and were never heard from again. As Haywood County’s newest brewery, Boojum Brewing Company derived their namesake from the legendary Boojum creature which use to roam the nearby Smoky Mountains. 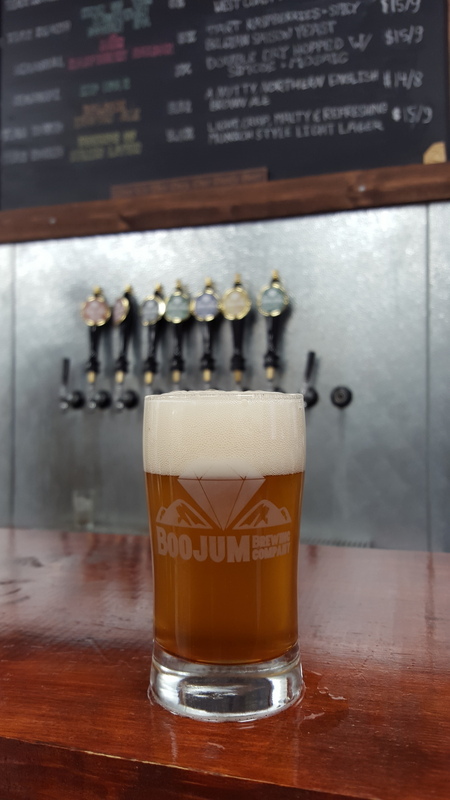 Boojum Brewing has two locations, a separate brewery where all the magic is created and their taproom which is located in the heart of Waynesville. 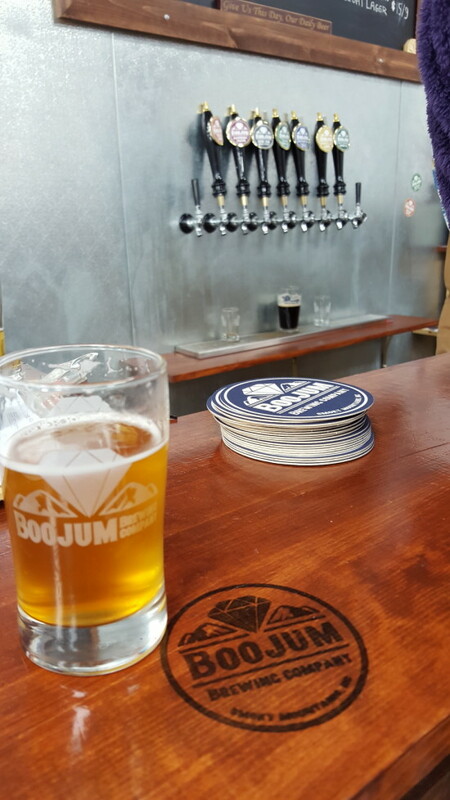 Boojum Brewery offers tours and tastings by appointment only and the taproom features a delicious restaurant that pairs dishes with their locally made brews. I fell in love with their Mûr Raspberry Saison and surprisingly their Chocolate Peanut Butter Dark Zone (I’m not a dark beer drinker, but enjoyed the hints of chocolate and peanut butter in their creation!). From ales to stouts, fruit-infused brews, seasonal and special craft beers, every beer lover will find a Boojum Brewing craft beer to satisfy their palate! 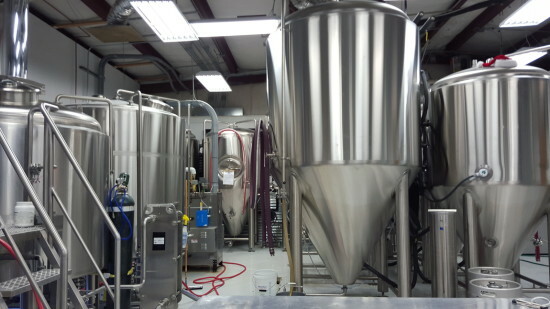 Each microbrewery of Haywood County features several of their own beer varieties on tap, offers seasonal and limited edition beers, and of course tours and tastings can be arranged to sample the local brews. If you are looking to enjoy a cold craft beer with splendid mountain views, look no further than Waynesville. 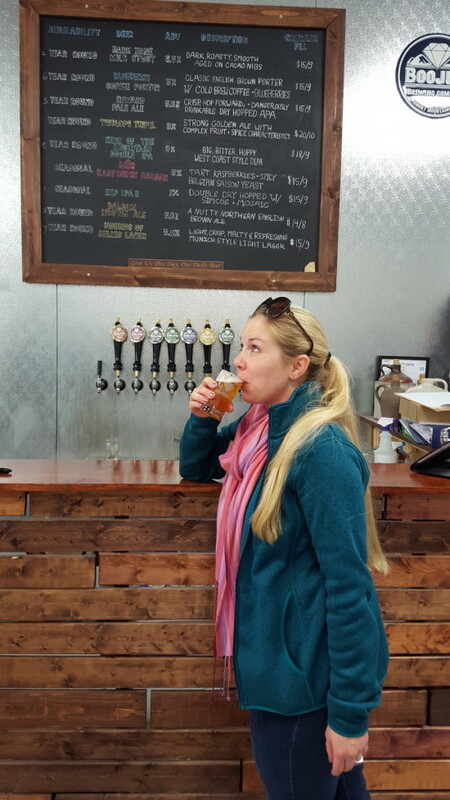 Whichever brewery you choose to visit, I propose a toast to good beer, beautiful scenery, and the welcoming locals of Haywood County! Cheers! 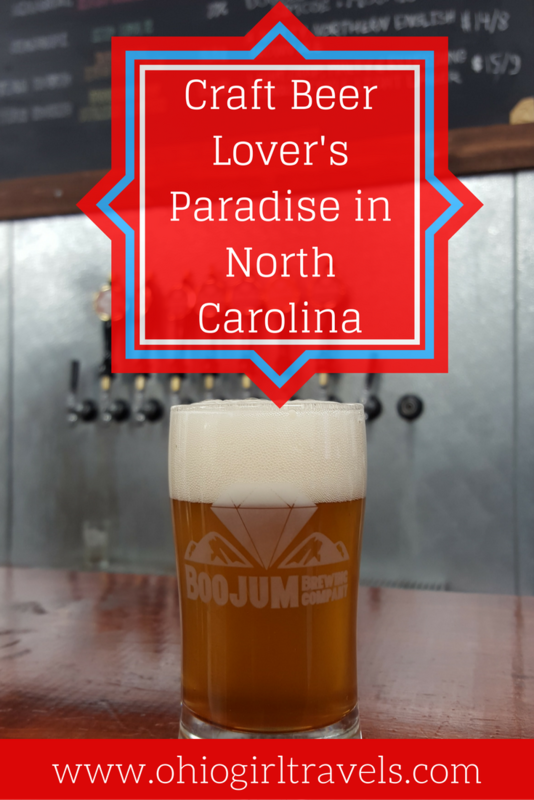 Western North Carolina truly is a craft beer lover’s paradise. 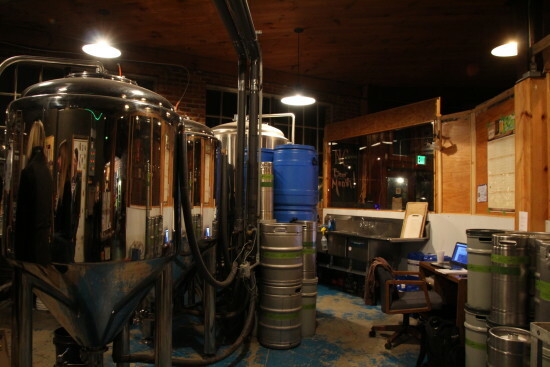 With over one hundred different types of craft beers just in Asheville alone, and dozens more in Haywood County, taking a “beercation” to Western North Carolina should be at the top of every craft beer lover’s getaway list! 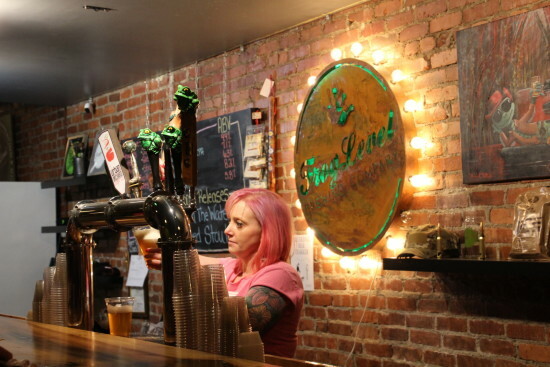 What is your favorite craft beer? I would love to know in the comments below! 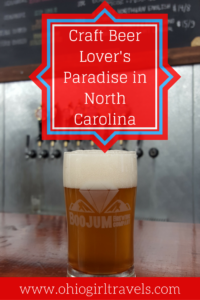 A special thanks to Frog Level Brewing, BearWaters Brewing, Boojum Brewing, Visit NC Smokies and Visit North Carolina! I was an invited guest of Visit NC Smokies and Visit North Carolina in exchange for writing travel posts about my experience. 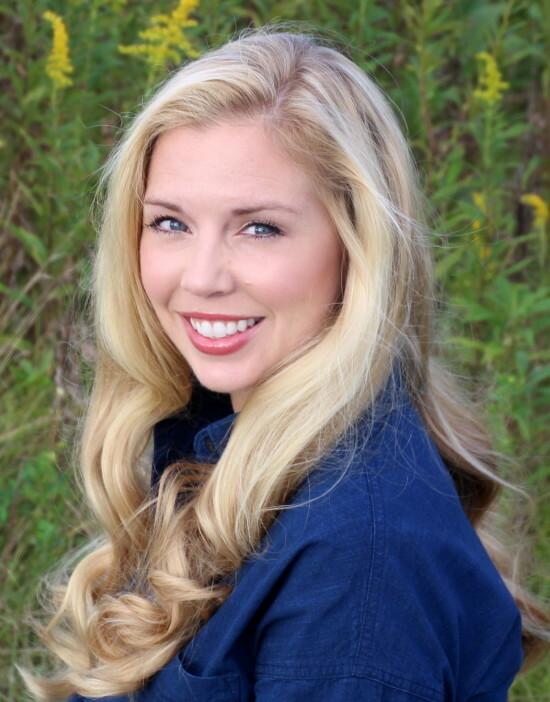 As always on Ohio Girl Travels, all opinions are my own! Don’t forget to save this to your board on Pinterest!